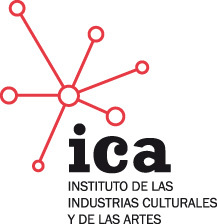 The selection comitee has been composed by the mentors of the workshop Mar Canet, Varvara Gulajeva, Román Torre, Diego Díaz together with a representative from Medialab-Prado and a representative from Media Art Futures. A total of 36 projects has been submitted. The selection comitee would like to highlight the quality of all of them. Due to the quantity and quality of them we decided to expand the selection of projects to 6 instead of the 5 originally planned. 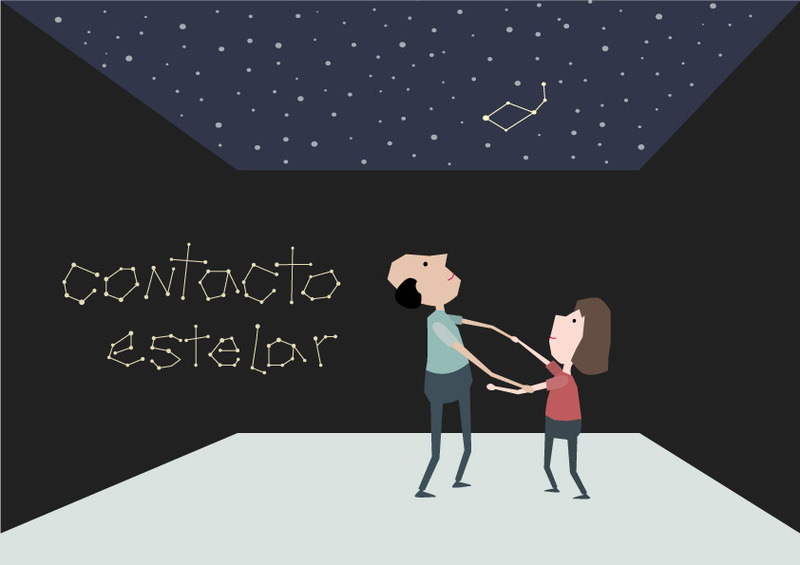 A game for create constellations by the joining and the body contact of the players. It aims to emulate classic game of connecting dots to draw a shape, but instead of using paper and pencil we use bodies. The Playful Learning project aims to support the learning process of teens with reduced capabilities to play and physical exercise, focusing on creativity & collaboration in open play. 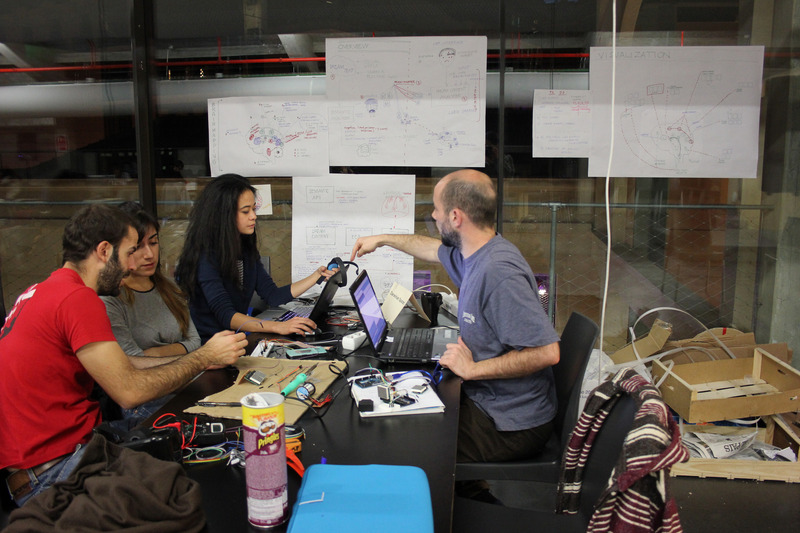 This will be done by developing tangible, playful interfaces using sports equipment and sensor systems in order to design experimental games and playful interactive installations. Metamorphosis from hidden spaces investigate implications of 3D experience, through space in relation to movement, and transformation, developing a installation, where the intangible turns intangible, the static turns dynamic by means of the viewer’s interaction in a symbiotic process of shape transformation. Interactive multimedia installation, which is part of the artistic practices called EcoMedia. This installation reported meteorological massive Internet data aesthetically transcoding into sound / lighting landscape, where a arranged as square matrix umbrellas and other electronic objects are activated or not depending on the data that are required by the visitor through the graphical interface of a mobile device. This project uses the possibilities of active participation and geolocation social networks to raise awareness of the possibilities and dangers of the information dunk on social networks and to encourage exploration / collaborative use of urban land. At the same time, with the information generated during the days of the workshop will develop a capacity analysis of social networks as a catalyst for participation in urban activity.